SOA/Virt 9.10 and up now comes prepackaged with Java1.8 which has TLSv1.2 enabled by default. The Java version that comes with all the previous SOA/Virt versions does not. 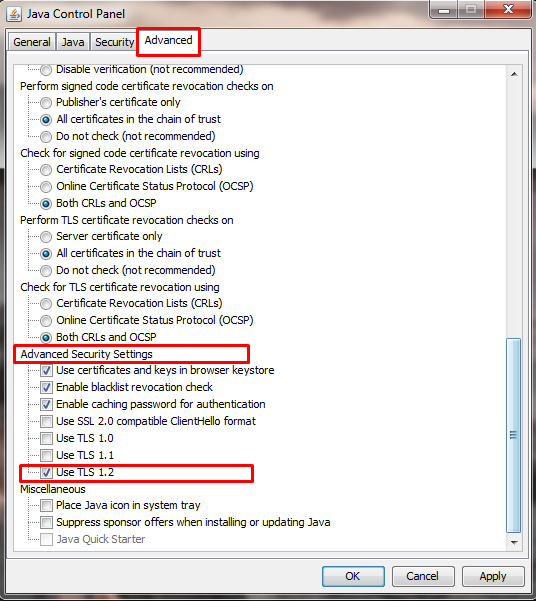 If you are using SOA/Virt 9.9.5 and below, there are two methods to enable TLSv1.2. The recommended and overall best solution is to run the tool with Java1.8. Java1.8 has TLSv1.2 enabled by default. If you wish to use TLSv1.2, Parasoft ultimately recommends that you run SOA/Virt with Java1.8 (Method 1) as it enables the most modern version of the encryption protocol by default. If you are unable to access Java1.8, the following method will suffice while you receive authorization from management to install Java1.8 on your machine. Since SOA/Virt is built upon the Eclipse framework, you will need to configure the JVM options in the eclipse.ini file located in the directory below. This directory will be similar for a Linux installation of the tool. 1.Open the eclipse.ini file with notepad. These options disable all deprecated protocols and enables only TLSv1.2. 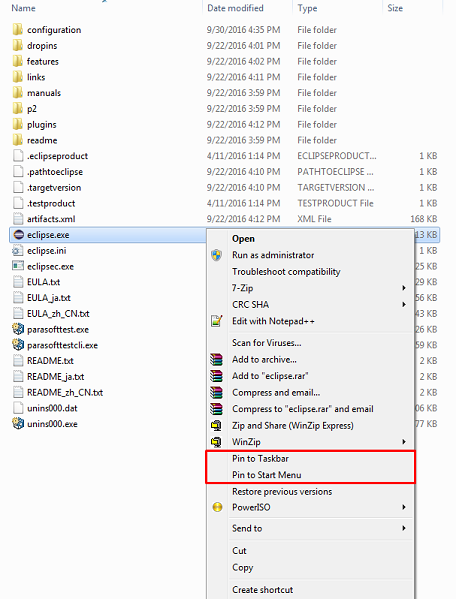 3.Open Parasoft in Program Files. 12.The Java Control Panel (Javacpl) will open. Select the Advanced Tab and scroll down to “Advanced Security Settings” and check/enable the “Use TLS 1.2” option. Please uncheck/disable SSL, TLS1.0, and TLS1.1 to ensure that they do not over- ride TLS1.2. Please note that if you are using a Windows OS, you will need to invoke eclipse.exe from here on in order for these new settings to take effect successfully. 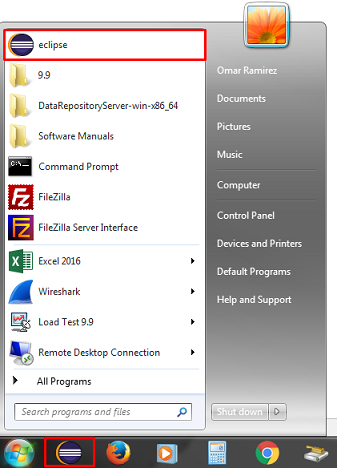 You can add eclipse.exe to your start menu or task bar for quick access. This is only required for Method 2 using Windows. Me too faced the same issue (handshake failure) when try to run script from Parasoft tool. Then I have provided this command "-Zjava_home "c:/Program Files/Java/jdk1.8.x_xx" in the shortcut tab. After this script runs successfully. But when I try to the same script from command line, i am getting again the "handsahke failure" error. Can you anyone explain me how to rectify this error?? When executing your tests from CLI, you will need to add -Zjava_home as part of your command line. "C:\Program Files\Parasoft\SOAtest\9.9\soatestcli.exe" -Zjava_home "C:\Program Files\Java\jdk1.8.0_131" -localsettings "C:\localsetting.properties" -data "C:\myWorkspace"
You need to know where the JDK is installed on your particular system and point to that. Certain XPaths failing to evaluate properly because of a bug with in Saxon: https://saxonica.plan.io/issues/1944 . SOAtest 9.10 uses a newer version of Saxon. Scripts originally written for Java 7's Mozilla Rhino were not working as expected in Java 8's Oracale Nashorn. SOAtest 9.10 improved support for Oracle Nashorn, enabling support for ES6 with compatibility enabled for older scripts that were originally written for Mozilla Rhino. I am currently facing the same issue(handshake failure). Method One resolves the issue when we run the tool. However, I am getting issues when I run the scripts from ALM tool. ALM VAPI scripts are hitting 'soatestcli'. And its not feasible to change all the VAPI scripts to hit the target command. Is there any other way I can configure soatestcli to hit java 1.8? If you don't want to change the VAPI scripts, you could try something like this: create a batch or shell script that has the name "soatestcli.bat" or "soatestcli.sh". Rename soatestcli.exe to something else, like soatestcli-new.exe. 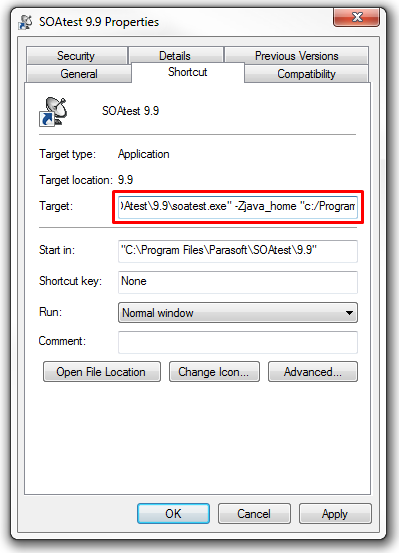 Then call soatestcli-new.exe from your script, while adding the -Zjava_home argument to point to Java 1.8. I tried creating a batch/shell script as "soatestcli.bat" or "soatestcli.sh" and running the script from ALM. But the ALM is not able to find the file. As I have given the location as "var SOAtestExe = "C:/Program Files/Parasoft/SOAtest/9.8/soatestcli.exe" in the VAPI scripts. Converting bat file to exe also doesn't seem to be a good option. Right - that makes sense since the file is explicitly referenced as a .exe file from the VAPI script. Sorry I missed that. Unfortunately I am not aware of any other way to set the JDK without modifying the VAPI script. Method 2 from Omar's original comment should work if you are on Windows. Otherwise, you might also consider upgrading to the latest SOAtest release which runs with a Java 8 by default.